Vernitra Shivers has been selected as the new principal of Thomas Middle School. Shivers has more than 15 years of experience in public education. She began her career as an elementary teacher in Orleans Parish Schools in New Orleans. In 2004, Shivers joined Team HISD as an ELA teacher at Williams Middle School. Shivers has worked as a literacy coach at Jane Long Middle School and assistant principal at Patrick Henry and Deady middle schools. For the past three years, Shivers has served as assistant principal and dean of instruction at Madison High School. 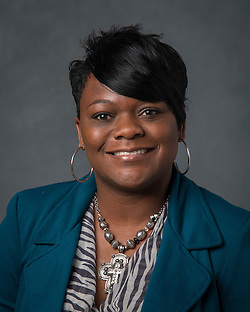 Shivers earned her bachelor’s degree in Elementary Education from Xavier University of Louisiana and master’s degree in Educational Administration from Prairie View A&M University. This entry was posted in Staff updates and tagged Thomas MS on June 18, 2018 by HISD Communications. Connie Smith has been selected as the new principal of Thomas Middle School. She brings to the position more than 18 years of experience in secondary schools. 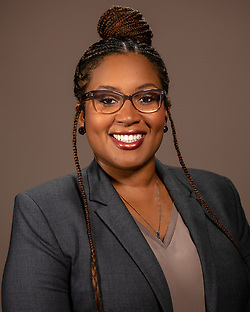 She began her career as a high school biology teacher in the New Orleans Parish School System before moving to Houston and becoming a science teacher at Jackson Middle School. In 2010, Smith became assistant principal, and later she was the dean of instruction at Ortiz Middle School. In 2014, she was promoted to the principal of Kelso Elementary School, where she served the district for two years. Smith has a bachelor of science in biology from Dillard University and a masters in educational mid-management from Prairie View A&M University. This entry was posted in Staff updates and tagged Thomas MS on September 7, 2016 by HISD Communications. The desks in seventh-grade teacher Zachary Cummings’ AVID classroom at Hamilton Middle School are arranged so that students can work in groups. Collaboration is one of the five hallmarks of AVID, along with reading, writing, inquiry, and organization. Cummings’ students recently quizzed each other on Cornell notes they took on a PowerPoint presentation about the history of Apple Inc. Cornell notes are just one example of college-level study techniques students learn in AVID, a global nonprofit organization directed at students who are capable of completing a college-preparatory path if they receive the proper support. The focus is on low-income students whose families don’t traditionally attend college. This entry was posted in College Readiness, District I - Elizabeth Santos, District II - Rhonda Skillern Jones, District IV - Jolanda Jones, District VI - Holly Maria Flynn Vilaseca, District VII - Anne Sung, District VIII - Diana Dávila, Middle Schools and tagged AVID, College Readiness, Deady MS, Hamilton MS, Henry MS, Holland MS, Houston Academy for International Studies, Jackson MS, linked learning, Madison High School, Ortiz MS, race to the top, Revere MS, Stevenson MS, Thomas MS, West Briar MS on January 14, 2015 by HISD Communications. This entry was posted in Achievement/Recognition, District IV - Jolanda Jones, District VI - Holly Maria Flynn Vilaseca and tagged Revere MS, Thomas MS on December 16, 2014 by HISD Communications. HISD campus administrators have been busy using the feedback from the district’s Your Voice survey to improve their schools and relationships with students and parents. This entry was posted in Your Voice and tagged Thomas MS, wheatley hs on October 1, 2014 by HISD Communications. Incoming sixth-grader Taylor, 10, believes it’s important to protect the bee population, and she thinks she knows ways to do so. “Planting flowers will help attract bees so they can make more honey,” she said as she put marigold seeds into a small decorated pot. This was only one of the many lessons she and several other soon-to-be sixth-graders learned during their two weeks in the Summer Bridge program, made possible by the federally-funded Race to the Top grant the district received, at Holland Middle School. This entry was posted in News and tagged Deady MS, Furr HS, Hamilton MS, Holland MS, Ortiz MS, Pleasantville ES, Port Houston ES, R P Harris ES, Revere MS, Stevenson MS, Thomas MS, West Briar MS on July 2, 2014 by HISD Communications.